Today we are taking a closer look at the Sony XBR X850F, XF85 in the UK. Sony’s mid-range TV offering for the year 2018 and probably their mid-range flagship model. It is the successor of the Sony XBR X850E. Other than the overall changes in its aesthetics and frame design, it also features the brands second most powerful image processing processor, the 4K HDR Processor X1. It also features Super Bit Mapping and object-based HDR. But home much improvement did it really get compared to its predecessor, the X850E? Read on! Doesn’t feature the Sony Extreme processor. The Sony XBR X850F, XF85 in the UK, is the Japanese brands’ flagship in their mid-range offering. It is their latest 4K UHD Smart TV model for the year 2018. 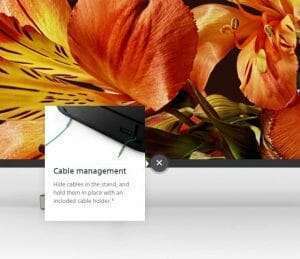 It is also the successor of the Sony Bravia X850E which is the brands offering for the year 2017. The Sony XBR X850F features a new overall design. The first noticeable changes compared to its predecessor is the new design of its stand. With the Sony X850E that uses a centre stand, the X850F features a two feet stand that’s tilted at an angle. These stands are designed in a way to fit the all-new Sony Soundbar 2.1ch Dolby Atmos®/DTS:X™ HT-X9000F. This soundbar is actually designed to be a perfect pair with the Sony BRAVIA X900F. Furthermore, the stand now features a cable management option. You can use the back of the stand to hide cables and hold them in place with an included cable holder. Another worth mentioning about the TVs design is its new aluminium finish frame that gives a premium look to the TV. The Sony XBR X850F features a slim body frame design. However, compared to its predecessor, this TV is thicker by 8mm than the Sony XBR X850E which has a thickness of 44mm. Now the back side of the TV reveals the I/O. With that much HDMI ports, one will definitely ask if the TV is capable of displaying multiple devices but fast answer is no. At the very least, the HDMI is 2.0 though we were hoping to have at least one HDMI 2.1 port. The Sony XBR X850F features the best picture enhancing technology of Sony. With the use of VA panel, the picture reproduction is really amazing. The colours are vivid and have wider range thanks to the support of 10bits panel depth. With Object-based HDR remaster, the colour of individual objects on the screen is analyzed and the contrast is adjusted. Because objects are remastered individually, this TV is capable of reproducing images with greater depth, textures, and more realistic pictures. Additionally, one of the main feature that the X850F have that the X850E doesn’t is the Super Bit Mapping™ 4K HDR. This feature enables this TV to create and produce smooth, natural picture without the “banding” that can occur on most TVs. We also noticed some minimal noise but almost negligible. That’s probably the work of the 4K HDR Processor X1™ that cuts the noise and boost detail. Lastly, other worth mentioning is the brands popular TRILUMINOS Display technology. Fortunately, this TV comes with that feature. At first look, no one will notice it but watching a couple of movies will make the difference. The TRILUMINOS Display is designed to enrich viewing experience by giving this TV to have a wider palette of colours and more natural shades and hues. The Sony XBR X850F features a 20W 2CH Built-In down firing speakers with bass reflex. However, despite having some slight upgrade to its built-in speakers, nothing much is noticeable in terms of loudness. It pretty much has the same audio quality and loudness with the Sony XBR X850E. Overall, it gets the job done but you might find yourself the need to add a soundbar as it lacks a punch in the loudness category when watching some movies. 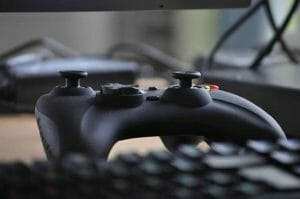 When it comes to gaming, there are 3 important things to consider. The refresh rate, the input lag, and the picture quality of the display. In this case, the Sony XBR X850F meets our demand for a higher refresh rate of 120Hz and an amazing picture quality reproduction. However, the same thing cannot be said with the TVs input lag rating. Actually, nothing has changed compared to its predecessor. The X850F has an input lag rating of 31ms which is the same input lag of the X850E in game mode. Not sure what Sony is doing but it seems gaming is not on their list of concerns. Overall, the Sony XBR X850F did gain some improvements and upgrades compared to its predecessor, the X850E. However, there are things that somewhat feels the same or no dramatical changes. The built-in speakers feel like it did not get any upgrades at all. After watching a couple of movies, the audio quality feels the same for both TVs. This is probably to make way for the Sony Sounbard HT-X9000F speaker. It’s also the reason why the stands got some major changes. Fortunate enough, the picture quality is extremely well. For its price and performance, the Sony XBR X850F is definitely the best mid-range TV of Sony. It might be a tough competition for the mid range 4K Smart TV this year which is good for the consumers. More competition, more options for us. 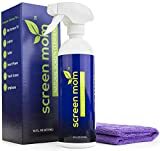 SCREEN CLEANER KIT By Pure Organics (60ml) contains only premium Eco-Friendly, Bio Degradable and Hypo Allergenic ingredients. 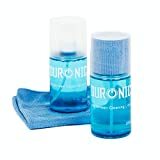 NO artificial chemicals. NO alcohol. 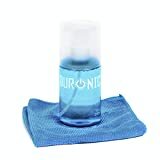 Naturally removes all dust, dirt, marks and stains from LED, LCD, Plasma TV, iPhone, Samsung, Sony, Smartphones, iMac, Laptop, Computers, Touch Screens and CD’s to leave them gleaming clean.